Read details on Neela's grammy in Hachette's official press release. Interview with Neela on the Rumpus. 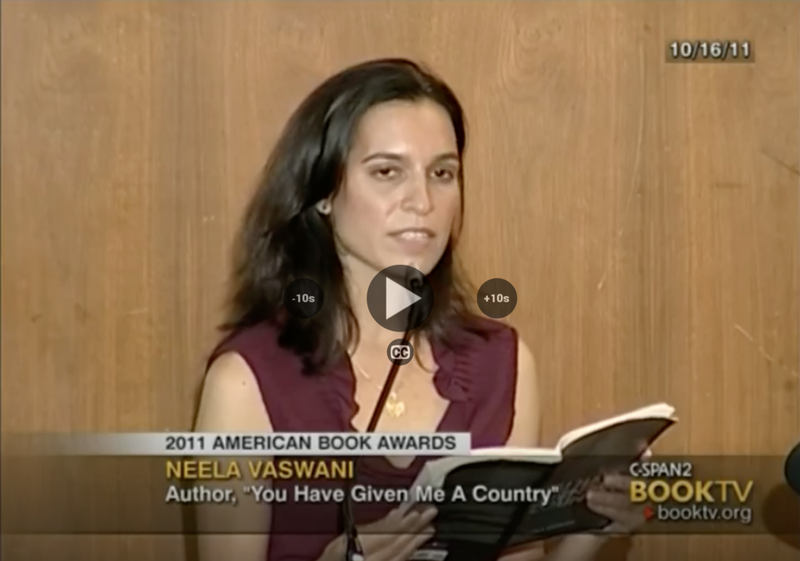 Neela receives the American Book Award for You Have Given Me a Country, televised on C-Span. Interview about Same Sun Here and the importance of picture books at the American Library Association Mid-Winter Conference, Dallas. The Center for Fiction, New York City Neela at the Center for Fiction, with visiting students from The Young Women’s Leadership School in Brooklyn.